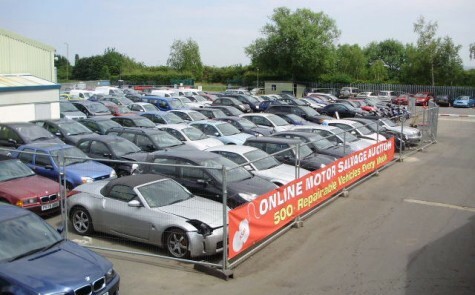 At ASM Auto Recycling, we work closely with some of the UK’s leading accident-damaged and stolen recovery specialists to offer 24/7 bidding on weekly online car auctions for up to 2,500 repairable cars. Our UK-based online car auctions feature a broad spectrum of makes and models, ranging from premium supercars such as Maserati’s to functional family estate cars, all of which offer a bargain to those willing to restore these vehicles to roadworthy condition. Buying accident-damaged cars at our online auctions can be a great way to secure a better vehicle for your money. Accident-damaged or stolen-recovered cars that have been written-off by insurers doesn’t mean that the vehicle is beyond repair, it simply means the cost of repair would not be worthwhile for the insurer. However, if you or a trusted mechanic are prepared to repair any of our vehicles with used car parts, it’s possible to pick up a bargain and have it swiftly back on the road – sometimes at half the price of the same model purchased from a forecourt. Our UK-based online car auctions feature detailed information about every available vehicle. From the salvage category defined by insurers, the car’s mileage and its service history through to its location and the scheduled time that bidding ends, you can find out all you need to know via our Bidding Console. Did you know, we’re one of the UK’s leading providers of used car parts, stocking more than 100,000 parts for all types of vehicles and models. We do our best to match available parts and panels to equip you with all the items you need to restore your new car purchased at an ASM Auto Recycling online auction. We greatly appreciate the custom of all our car auction buyers, which is why we offer a discount of up to 20% on all matching used car parts required for the repair of accident-damaged cars bought from us. Note: This discount applies only to cars purchased from ASM Auto Recycling Ltd. and does not cover vehicles sold by other companies via our car auctions online.